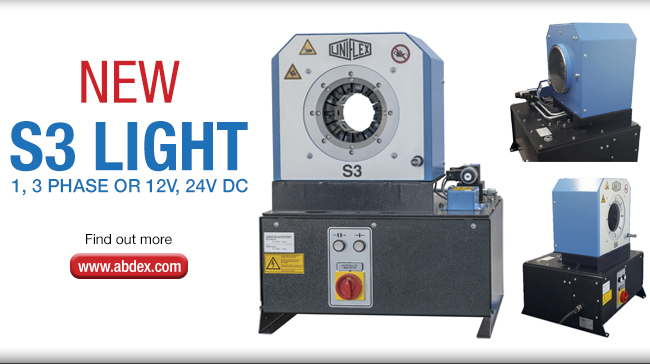 The S3 Light is a single cylinder machine that has no obstructions on the back of the machine when crimping. The crimper boasts a 160-tonne crimp force, and is able to crimp up to 1.1/4” 4SP and 2” industrial hoses. The crimpers non-grease head facilitates accurate and true force during every crimp. Lighter, smaller and more powerful than the current model!